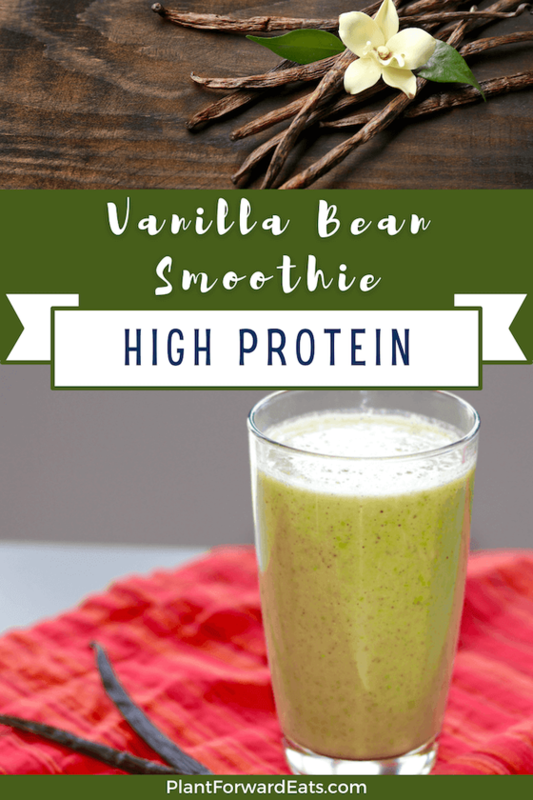 This delicious protein smoothie is perfect for breakfast or an afternoon snack. It's high in protein due to edamame, not protein powder, and also contains a fiber boost. Enjoy! My latest kitchen obsession has been with trying to add protein to foods that aren't traditionally super high in the filling nutrient. And I've also been making smoothies (like my Berry Almond Cocoa Smoothie and my Pumpkin Pie Smoothie) almost every morning, so I decided to power up my morning smoothie with protein! This protein smoothie recipe boasts 27 grams of protein, along with 11 grams of fiber (more than 40 percent of an adult's daily need) per serving. That's a lot of nutrition in one glass! The vanilla bean adds a subtly sweet taste. If you've never shopped for vanilla bean before, it's pretty simple—although I had to research what type to buy. You might see Grade A and Grade B beans in the store. Choose Grade A, which is recipe grade. Grade B is what you'd use to make your own vanilla extract. When you get your bean, simply slice it lengthwise with a knife. You'll then see lots and lots of tiny vanilla beans. Scoop these with a spoon, and add to your recipe. Want more recipes with vanilla? Give my Pomegranate Pistachio Chia Pudding and my Chocolate Strawberry Overnight Oats a try. Have extra brown bananas in your kitchen? Here are more delicious ways to use up brown bananas. In a high-speed blender, add banana, edamame, and almond butter. With a knife, slice vanilla bean horizontally, then scrape seeds with a spoon and add to blender. Add milk; blend, and enjoy! Serves 1. What are your thoughts on this topic? What do you put into your favorite smoothie? Leave your comments here! Such a great idea to use edamame! Sounds delicious! I never thought about trying frozen edamame in a smoothie! Love this idea. This is such a great idea Amy, I've never thought of affing edamame to a smoothie! I bet the texture is awesome! So unique! I love the edamame idea! Never would have thought of trying edamame in a smoothie. Very creative! What a great idea to add edamame to a smoothie for protein! I've used tofu in smoothies but never thought of using edamame. Great idea! 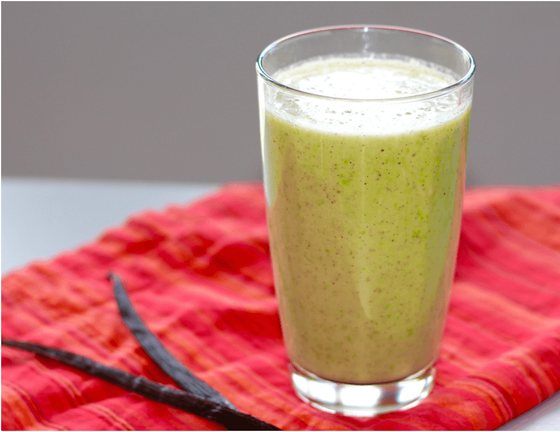 I've been on a huge edamame kick lately, but I've never thought to add them to a smoothie. Must try! Thanks so much Kara, Lauren, Jessica, Marie, Jessica, Emily, Karman, Kaleigh, and Abbey! I hope you enjoy the smoothie as much as I do! Hi Micha, thanks for reading. What browser are you using? Chrome and Safari work best. 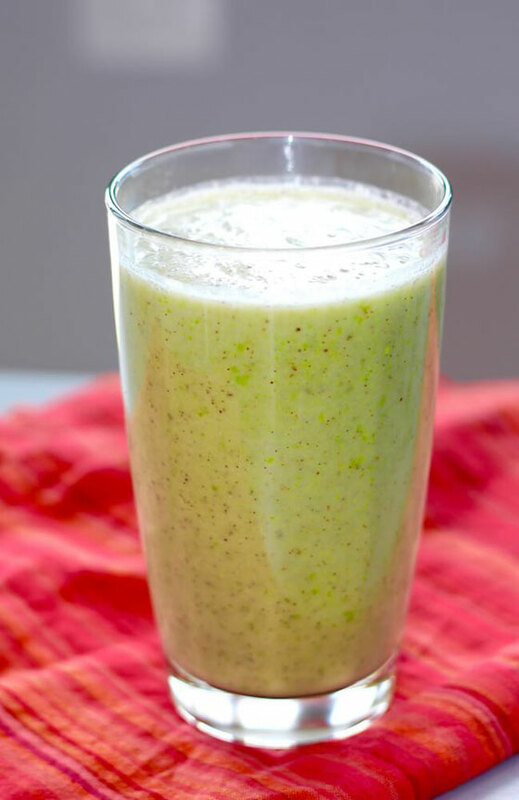 What a great idea to add edamame to a smoothie. I'm trying this one today! What a great idea, Valerie! Wait!! 56 CARBS......that is like almost 3 days of recommended carb intake??? No way at my age could I drink this..........wow 56 carbs!!??? What can I substitute for the almond butter? I am allergic to tree nuts and peanuts. This probably lowers the protein too. Hi Jan, you could try sunflower butter. Love all the fat and protein (and carbs!) Im a pregnant, nursing mom and really need nutrient rich macros. I can’t wait to try this. Although, I’ll be subbing milk with almond milk. So glad you're going to add this to your breakfast rotation, Roxanne. Can't wait to hear what you think! What can I substitute for the edamame? I cannot eat soy products.